Scrub your plates, pots and pans without polluting oceans and nature with microplastic. 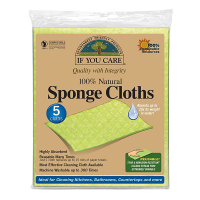 The combination of sponge and scourer side is ideal for a firm grip and only a few drops of washing up liquid are needed as cellulose sponges hold liquids far better. It is efficient for all types of cleaning – in kitchen and bathroom, indoors and outdoors and for all kinds of surfaces that you want to clean. The scourer is made from the loofah plant and is sewed with cotton thread (not glued) to the white cellulose sponge. 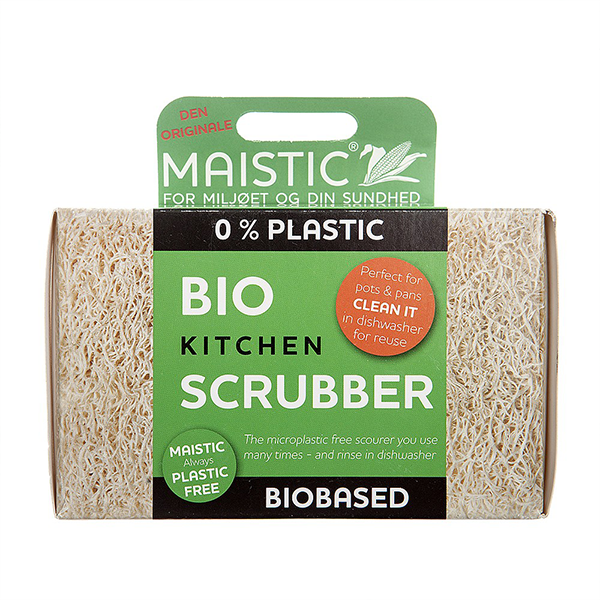 The soft sponge is bio-based, plastic free, it does not crumble and it is washable, so it can be used again and again. Wash in top drawer of the dishwasher and dry standing. Maistic does not recommend washing machine as this shortens lifespan. 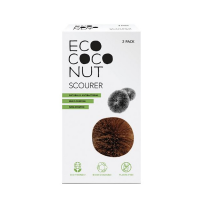 Equivalent to 50 single use plastic scourers. Packed in paper box. Wood-based cellulose; loofah. Country of origin China.